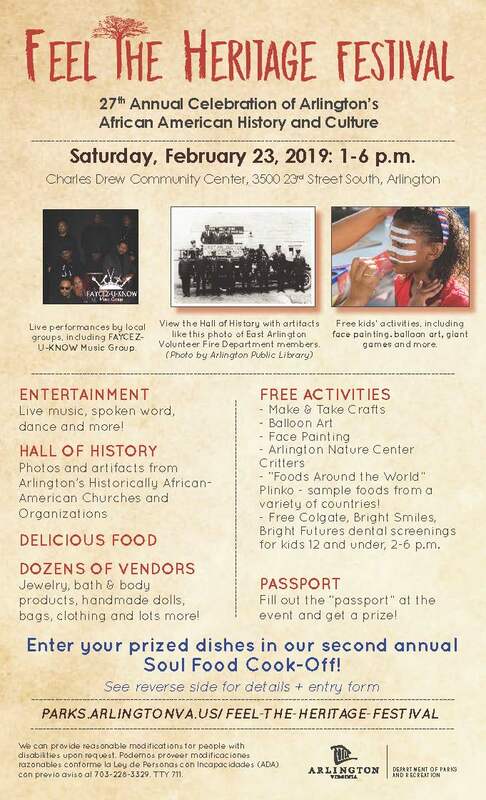 Arlington will celebrate its rich African-American heritage at the 27th annual Feel the Heritage Festival at Drew Community Center. This free event will feature a variety of activities, including live music, dance and spoken word, dozens of community and artisan vendors, delicious food options, free kids’ activities and more. The Car-Free Diet team will be there to answer your transit, biking and walking questions. Click here for car-free options from Car-Free Near Me. Plan your trip at Car-Free A to Z.